Experience both sunset and sunrise from our camp close to Trolltunga, with spectacular scenery of the Ringedalsvalley and lake. Our toughest trek! You need to be fit and have some trekking experience to join this trek. Our guides favorite trek, because of it´s many options. Our goal is to give you the feeling of wilderness and time to enjoy it. 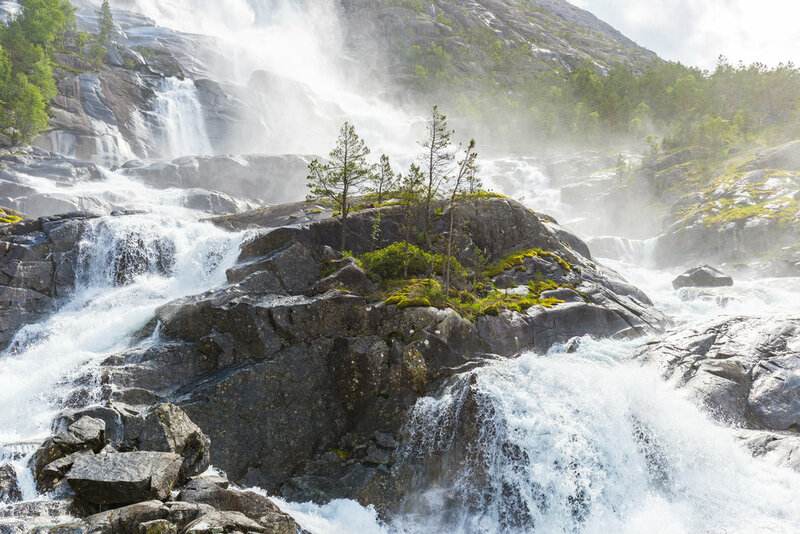 Langfoss has an impressive drop height of 612 meters and is rated as one of the most beautiful waterfalls in the world. Standing on top of the waterfall and looking all the way down on the fjord is an incredible experience, where Åkrafjorden winds its way between mountains of more than 1,000 meters, and with the magnificent Folgefonna glacier in the background.